Looking for a unique getaway in a charming historic town? 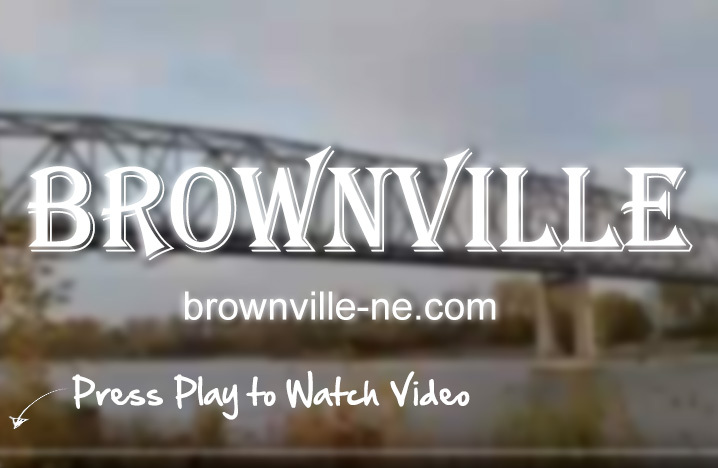 Brownville Nebraska should definitely be on your list of places to visit. Founded in 1854, Brownville continues to provide its residents and visitors with an assortment of things to see and do. The height of our Tourist season is from Mid-May to Mid-October with special events scheduled throughout the year. Be sure to check the monthly calendar for upcoming events, shops and museums for individual hours or call 402-825-1240 for quick tour information. A winery located in a renovated 100+ year old barn. Multiple bed & breakfast accommodation options, including a floating B&B on the river. Brownville Village Theatre - Five continuous plays Mid-June to Mid-August. Brownville Concert Series - Music shows one weekend a month from March/April to December. See our of our Calendar of Annual Events (printable). Webmaster: Art Whitton | All rights reserved by the Merchants of Brownville ©2019.